STROLLS along the idyllic Mooloolaba Beach and meandering motorbike rides through the hinterland are two of the things David Hart will miss about the Sunshine Coast. 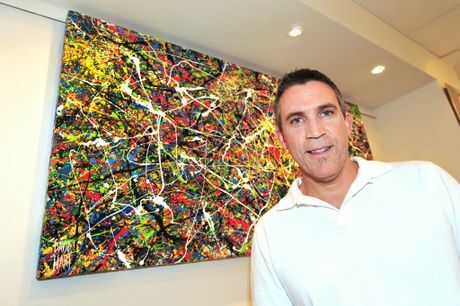 The acclaimed artist, who has called the Coast home for the past 16 years, is preparing to settle in Miami, USA. Despite claiming to take after his dad, the late Pro Hart, in being a little wary of change, David said he was also highly motivated and saw the American market as the next big conquest. "The US is the next logical step to expand my horizons," he said. "I've had offers from a gallery in Miami in December and a couple of others up the east coast and also have opportunities in Beijing, Shanghai and Yantai in China kicking off in January so I'll be doing those simultaneously. 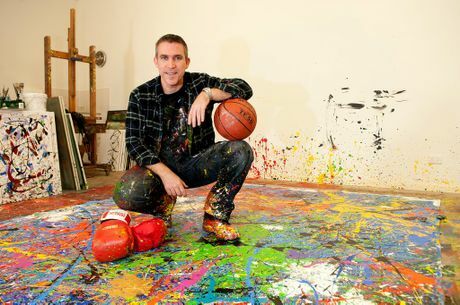 "I want to get on the other side of things where all I do is paint." With David and Christine's youngest child, Harrison, about to wrap up his Year 12 studies and the lease on their gallery at Noosa coming to an end, they decided the time was now. Daughter Chloe is already in America studying at the University of Michigan and will join the rest of her family in Florida at the completion of her degree. 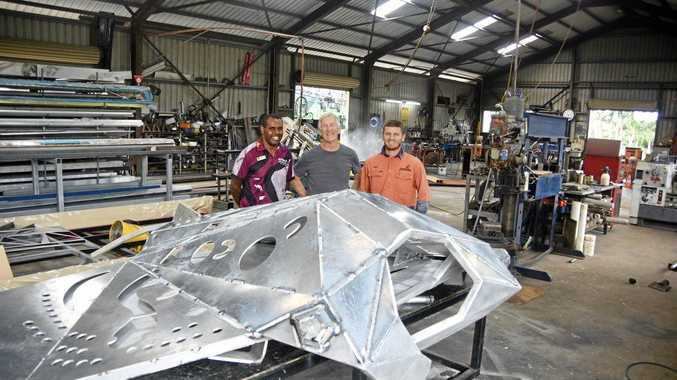 David said the family would continue to maintain a presence on the Coast, with plans to return every four months to paint from his Brisbane studio to supply more artworks for the gallery. "As a family we have loved living here and it's an absolutely fantastic place to bring up kids," he said. "Miami was the closest thing I could find to the Sunshine Coast, but I will miss the great family vibe down at Mooloolaba Beach - it's something quite unique." David said he would also miss the "best riding in Australia" and exploring the hidden treasures of the hinterland on his motorbike. For "logistical reasons", the David Hart Galleries Hastings St location will be closing on Friday and amalgamated with the Mooloolaba gallery, which will continue to run under the management of Linda and Grayson Vario. David said they were trying to avoid having to relocate the artworks housed in Noosa and were having a sale of up to 50% off.